Home / Scents / Monsoon - Rose Gold Perfume. 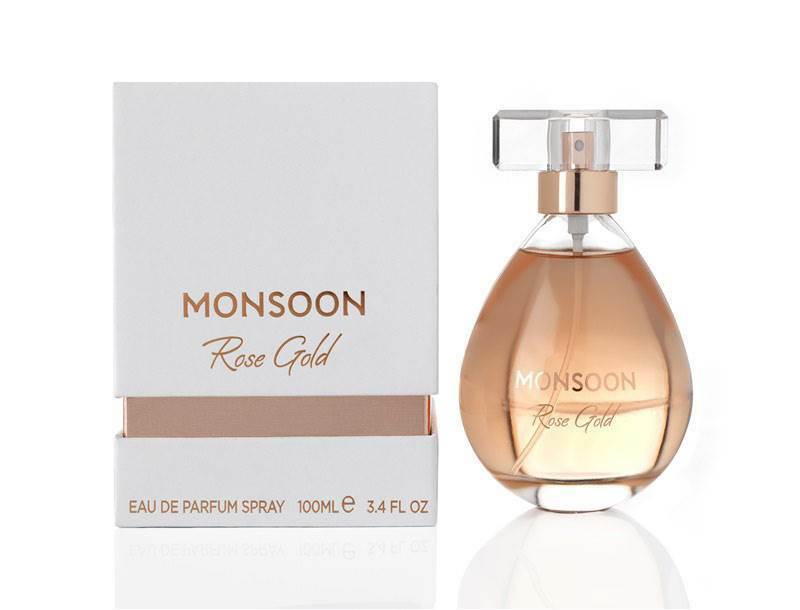 Monsoon - Rose Gold Perfume. The house of Monsoon dedicate themselves to produce a collection of scents not to missed. Rose Gold, a must have for any Eau de Parfum wearer, is an intoxicating floral whilst rose is the main accord in its composition. The rose gold scent exudes glamour and femininity, whilst comforting the wearer, bringing an underlying confidence when worn anytime of the year. On first spray the opening notes of lemon, juicy fruits and ozone prepare the senses to awaken before transitioning to the heart of this luxurious scent. A floral bouquet of velvety roses, tuberose, neroli and cyclamen captivate your senses, transporting you to a field full of natural flowers in bloom detecting their scent in the breeze on a sunny day. Bringing depth to rose gold are musk, woody notes, vanilla, amber and moss, helping the scent become more dimensional rather than just being a standard one note floral perfume. 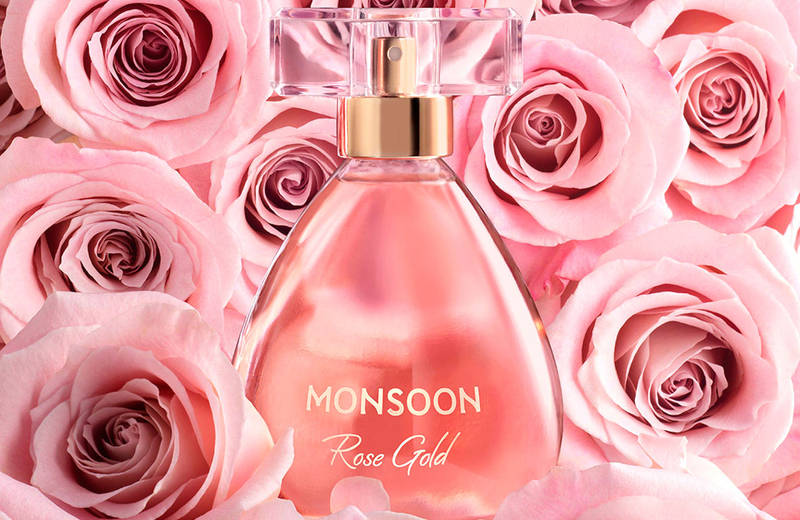 The packaging of the Monsoon Rose Gold captures the character of the Eau de Parfum quite well. The white box with rose gold detailing, along with the rose gold packaging inside, is highly eye appealing before you have even tried the scent. The tear drop flacon which displays the light rose coloured scent is accompanied by a clear spray head cover, the perfume is just waiting to be used. The real magic about Rose Gold is that it is suitable for any age range thanks to its incorporated notes delicately balanced to highlight the beautiful rose note without overpowering it. Rose Gold Eau de Parfum is available in 30ml and 100ml. Suitable for any occasion and season, be reminded of the beautiful scent all day thanks to the luxurious long lasting floral strength it contains. X Neil.